Police in a Washington city condemned the behavior of one of their officers who cited "expectations" of arrest numbers and fines. The department stopped short of apologizing after a viral video showed the cop bullying two men during a traffic stop. Abarca posted the video of the incident to YouTube on Tuesday, attracting a lot of attention. 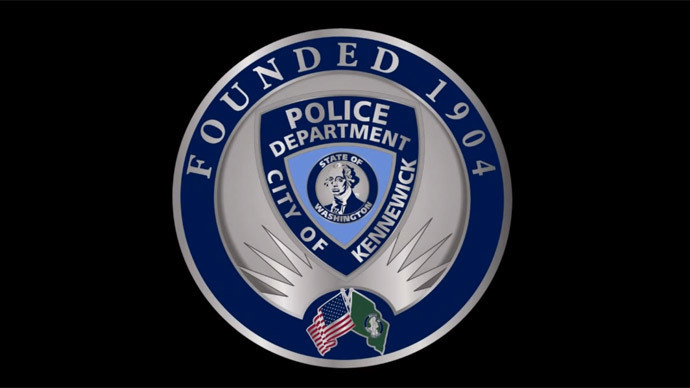 In a statement released on Wednesday, the Kennewick Police Department identified the officer as Glenn Ball, with 21 years of experience on the force. Police Chief Ken Hohenberg said he was “disappointed” when he watched the video and added it did not represent how officers interacted with the public on a daily basis. “The video shows a disheartening abuse of an officer’s powers and a disappointing disregard of civilians’ rights,” Jennifer Shaw, Deputy Director of the ACLU of Washington, said in a statement Thursday. Kennewick is a city in southeastern Washington with a population of 76,000, part of the area known as the ‘Tri-Cities’ with nearby Pasco and Richland. Approximately a quarter of the population is Hispanic, though Abarca said he did not believe his treatment had anything to do with race. In the three-minute video, Officer Ball can be heard threatening to destroy the clean police records of Abarca and his brother, making them part of his “quota“ and getting them arrested. “On what grounds? Oh, I don’t know, I’ll think of something. How about aiding and abetting reckless driving?” he is heard saying. Police departments around the US have come under increased scrutiny after a Department of Justice investigation of discrimination in Ferguson, Missouri, revealed law enforcement and municipal authorities used the poor and the minorities as a source of revenue. Further investigations have revealed that municipalities around the country even use private contractors to extort even more money out of poor people, who are frequently unable to pay the exorbitant fines and end up in jail. Abarca was neither arrested nor fined during the traffic stop, but he says he felt humiliated. What he would like, he told reporters, is an apology from the department. As of Thursday, he has not received one.